It’s spring (sort of) and it’s time to perk things up around the house. Open the windows, clean out closets, and swap your pillows. Huh? Yes, you read that right. Take all the cozy decorative pillows you have in the living room, beat the dust out of them, and put them into storage for a few months. Liven up your space for the summer with fresh, new pillows in light or bright colors in cool fabrics like crisp linen. New pillows add color to an outside space as well. Here’s one from CB2. It’s amazing what a few summery accessories can do for your sense of well-being. Go Zen, go nautical, go wild, or go graphic. But go get yourself some new pillows. 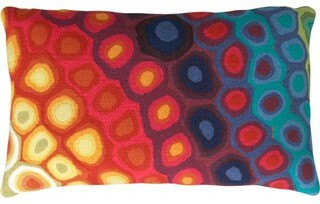 You are currently reading It’s Time to Talk Pillows at Your Home & Color Coach.